2012 was a turning point for me into a new season of life. I have one daughter now married, a son in college and my two 8th graders that I am still homeschooling. My husband is serving as worship leader at a new church and we are settling in there with our two teenagers. I have devoted much of this year to researching and praying for guidance for Marty’s Musings. What started out as merely a family journal has taken the turn into pursuing opportunities to make my blog profitable. I’ve learned so much and met many wonderful people. 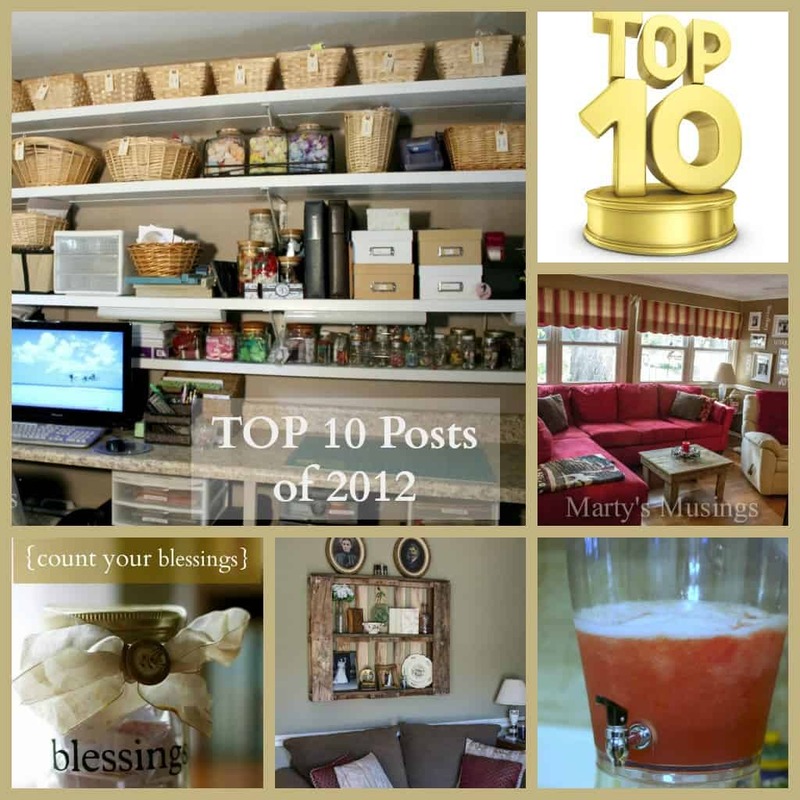 My hopes and dreams for 2013 are for this blog to encourage others through my posts on both DIY projects and the personal side of our story. Here are the 10 posts that received the most traffic (from Google Analytics for June-December 2012). 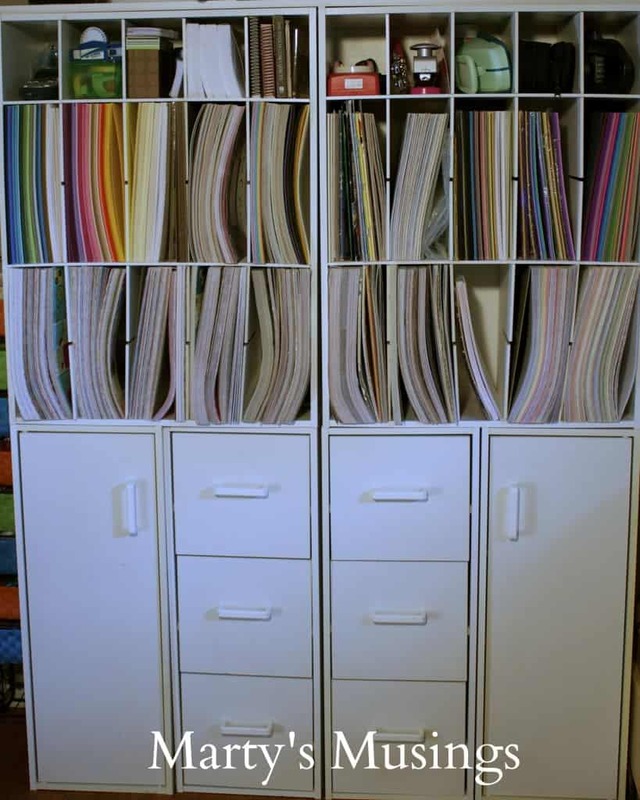 Scrapbook Room Organization is a must for those who love to look at other people’s craft rooms as much as I do! 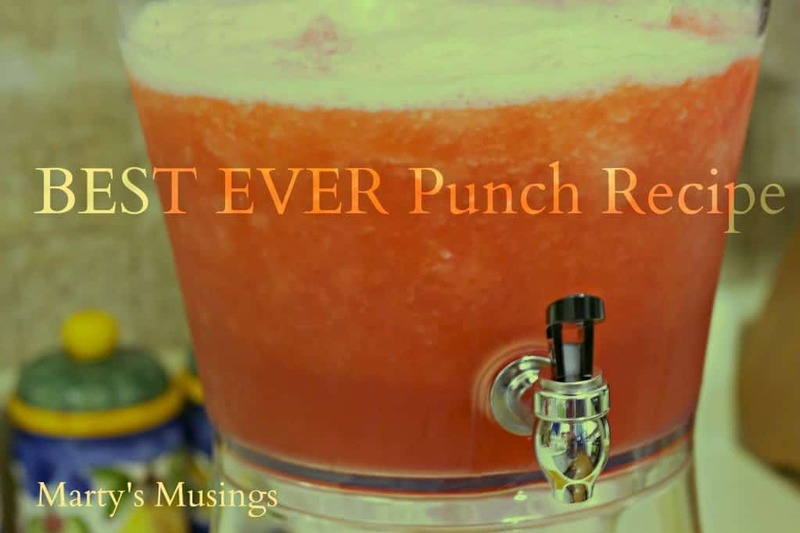 Best Frozen Punch Recipe is truly the best punch for entertaining. Easy to prepare ahead of time and dearly loved by my family. 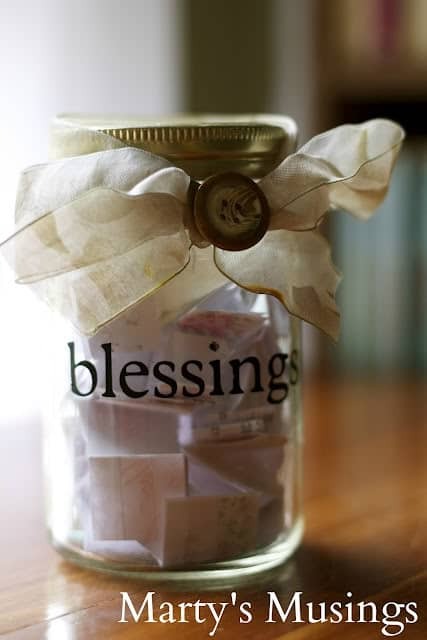 Our Blessing Jar is indeed a family tradition, a way of remembering to be grateful for each day. 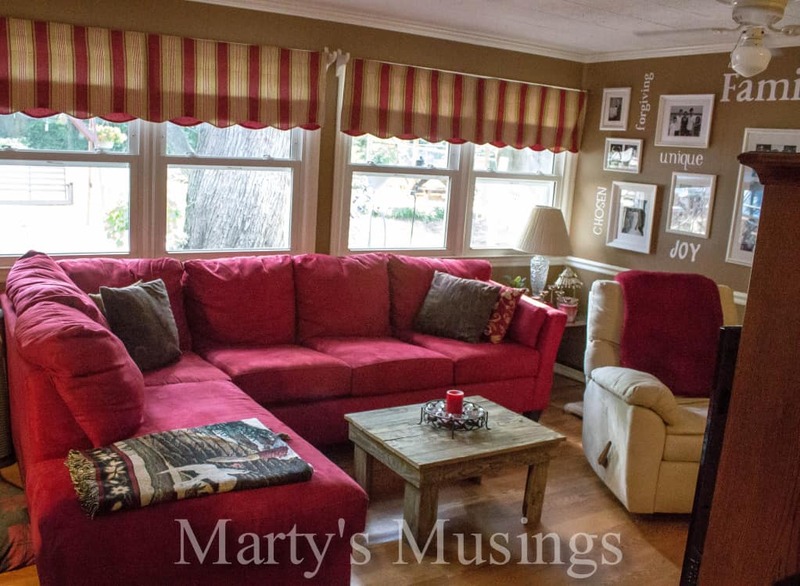 Den Makeover is probably the room in our home that changed the most in both looks and function. It is such a fun room! 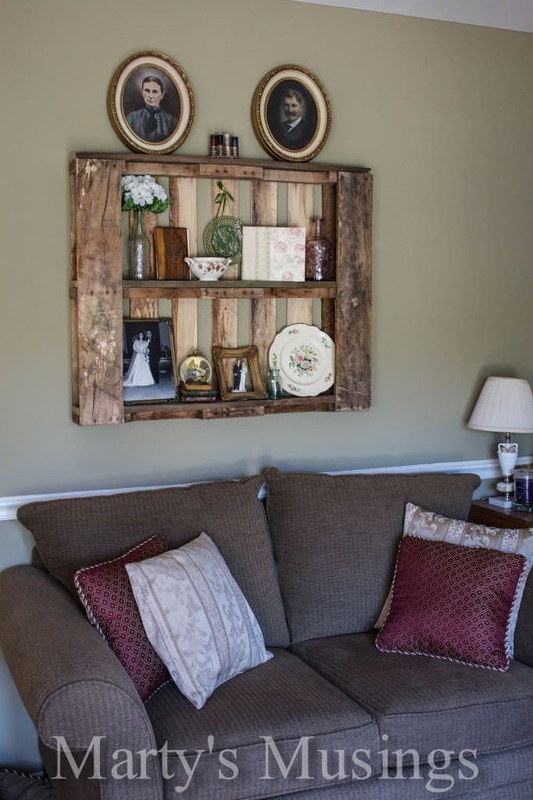 How to Decorate with Pallet Shelves was a free and easy project! 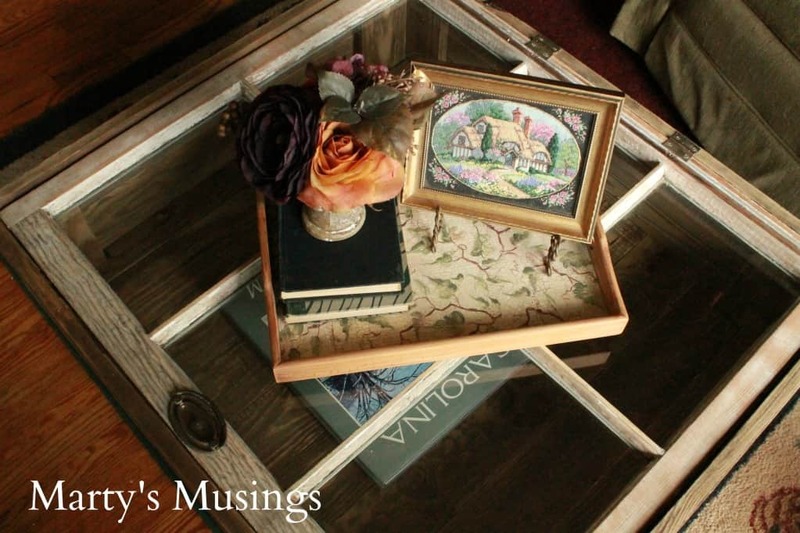 Window Table Decor gave me a chance to accent the window table my husband built for me. 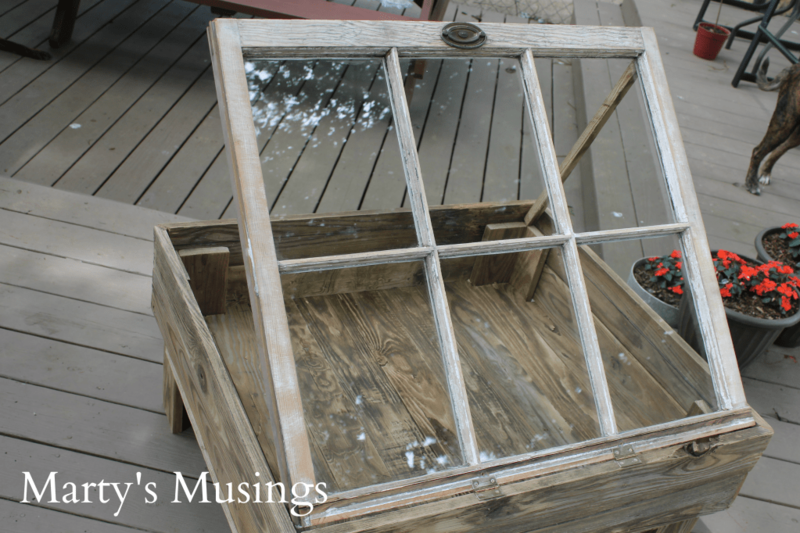 How to Make a Window Table made me incredibly proud of my husband and his DIY skills. No Mantel to Decorate? No Problem! 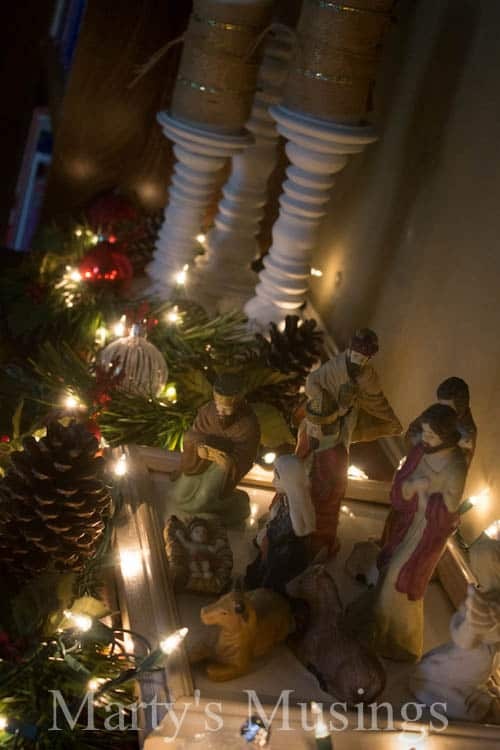 I loved my Christmas decor this year. It was simple and no cost! Branch Candle Centerpiece shows my hubby again making a Pinterest project for me. Scrapbook Room Paper Storage shows off my ridiculously excessive (but totally pleasing) scrapbook paper collection! These posts got the most page views but do you have a different favorite? Thanks for sharing last week on Saturday Show & Tell on Cheerios and Lattes! You are a featured favorite this week! We can’t wait to see what you’ve been up to this week! Thank you so much for sharing your project with us last week in the Bowdabra Crafty Showcase. We love seeing your creations! If you haven’t yet stopped in, the new Showcase is up and running! We can’t wait to see what you share with us in 2013! Wow. I thought I had a lot of scrapbook paper, but you have me beat…by a mile! 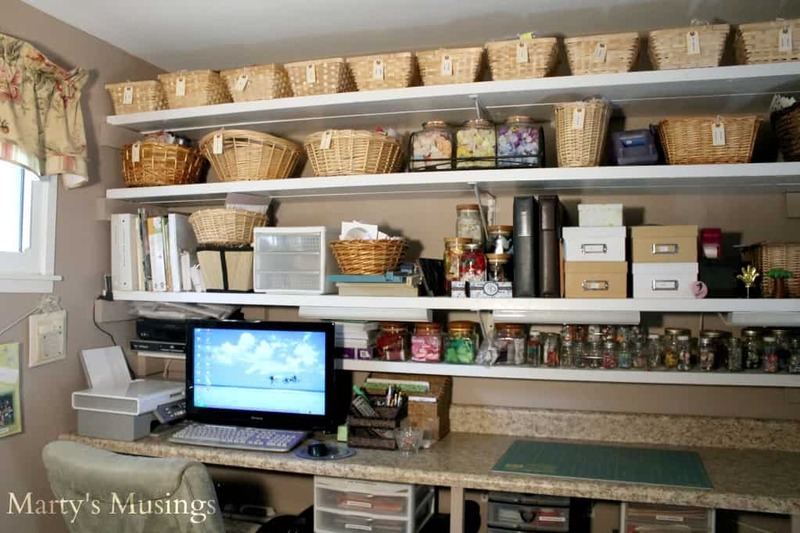 Love your organizing solutions and revisiting some of your popular posts and projects. I feel confident that you will reach your blogging goals in 2013. You have such an authentic voice, a real desire to inspire and help others, and you’re also incredibly talented and crafty. Wow, beautiful projects! I can see why they are your top reads! 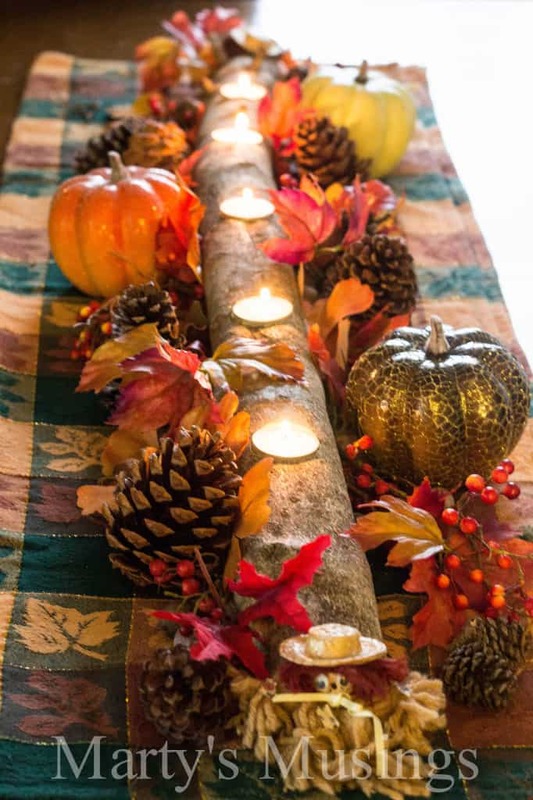 Love the log with the candles in it, your hubby is a great asset! Blessings to you and your family! Great projects! Thanks for linking them up! Congrats, Marty! You linked this up last week in The Mommy Club and it is being featured today! Thank you for sharing your yummy top post with my readers! I have some of yours I do want to try, soon!